I finally finished watching all of Mai-Otome, and the anime ended up being a lot better than I originally had thought. The reason I started watching Mai-Otome was because of Shizuru and Natsuki. Although their relationship only consists of subtle hints, all their moments were amazing. I want to write a blog post about their relationship later. After watching Mai-Otome, I questioned if Mai-Otome was better because I saw Mai-Hime and if Mai-Hime was better than Mai-Otome. Both of these anime had their own special qualities, and I really enjoyed both shows. Does Watching Mai-Hime First Affect the Enjoyment of Mai-Otome? 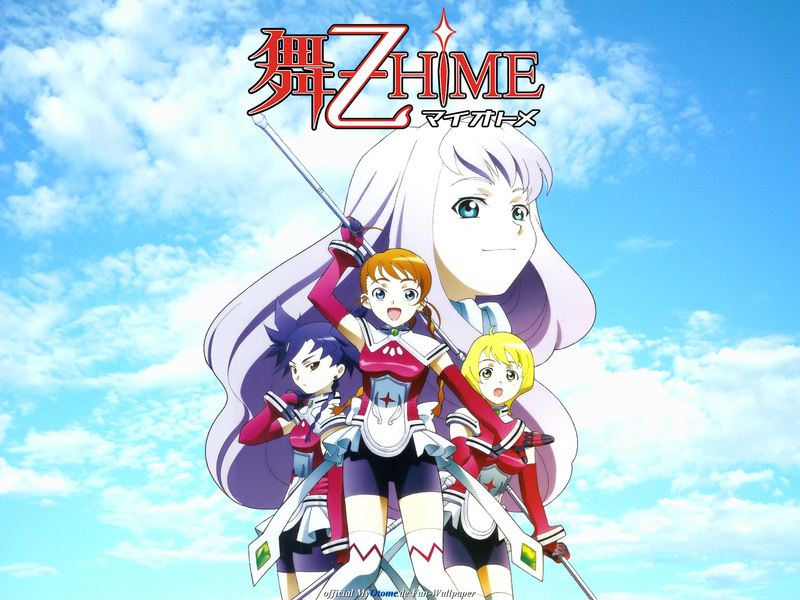 Mai-Hime came out a year before Mai-Otome, so Mai-Hime would be more like the original series. Mai-Otome is like an alternate universe of Mai-Hime which has lots of the same characters, but it also added a few new characters. The fun part of Mai-Otome is all the characters are similar between Mai-Hime and Mai-Otome, so you can still enjoy the Mai-Hime characters. Although, there are a lot of new characters too. In Mai-Otome there are a few small references about Mai-Hime in Mai-Otome. 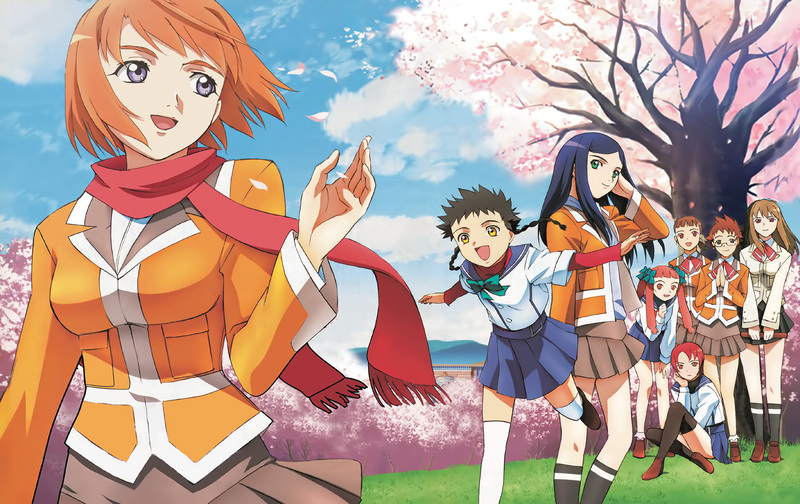 I feel like watching Mai-Hime made Mai-Otome better, but even without seeing Mai-Hime, Mai-Otome was still a great anime. Mai-Hime and Mai-Otome remind me of Kannazuki no Miko and Shattered Angels, but both the Mai shows were amazing while Kannazuki no Miko was great and Shattered Angels was one of the worst shows ever. Obviously the difference between the two anime would be the plot. Mai-Hime focused on special girls with a mark on their body to indicate they are HiMEs which gives them special powers to control a fighting machine called a child to fight orphans. Mai-Otome focuses on a school that teaches virgin girls how to fight with nanomachines. Nanomachines are put into the girl’s body so they can fight and protect her master. She also acts like a maid and serves her master without question. I really enjoyed the plot of both series, so I can’t really say one is better than the other. The three main characters in Mai-Hime focus on Mai Tokiha, Mikoto Minagi, and Kuga Natsuki. In Mai-Otome the three main characters are Arika Yumemiya, Nina Wang, and Mashiro Blan de Windbloom. The girls in Mai-Hime seemed more mature than the girls in Mai-Otome, not including Mikoto Minagi. Mikoto acts a bit more mature in Mai-Otome than in Mai-Hime. Both trios are great friends with eachother, but I enjoyed the Mai-Hime trio better. I liked how they were more mature and better at dealing with conflicts. The one character in Mai-Otome that didn’t act like their character in Mai-Hime was Mashiro. In Mai-Otome, Mashiro Blan de Windbloom is the queen of Windbloom nation. Mashiro Kazahana in Mai-Hime is the one gathering all the HiMEs together. In Mai-Hime, Mashiro Kazahana was one of my favorite supporting characters. I liked how selfless, reserved, and polite she was. Mashiro Blan de Windbloom in Mai-Otome was the opposite of her counterpart in Mai-Hime. She annoyed me from the first scene. She is greedy and arrogant. She does get better as the anime’s plot continues, but Mashiro Kazahana was still a better character overall. One difference between Mai-Hime and Mai-Otome was the main male interest. In Mai-Hime, Mai falls for Tate Yuuichi. Tate and Mai don’t get together at the beginning, but like everyone says, “There is a thin line between love and hate.” I never really liked Tate, but I did like him more than Sergay Wang. Sergay is a major in the Arati military, so he is close with the leader of the nation. He becomes the love interest to Arika and Nina, who are years younger than him. Nina is even his adopted daughter. He seems to have lingering feelings for Arika’s mother, but they only connection these two have is Sergay was creeping on Arika’s mother. He then starts having feelings for Arika later in the series. I personally thought it was really weird how they made him the male love interest. I personally think that could have been avoided, or they could have made a better choice. I believe it was to make more angst and fights between the two main characters, but in the end it was just creepy and strange. 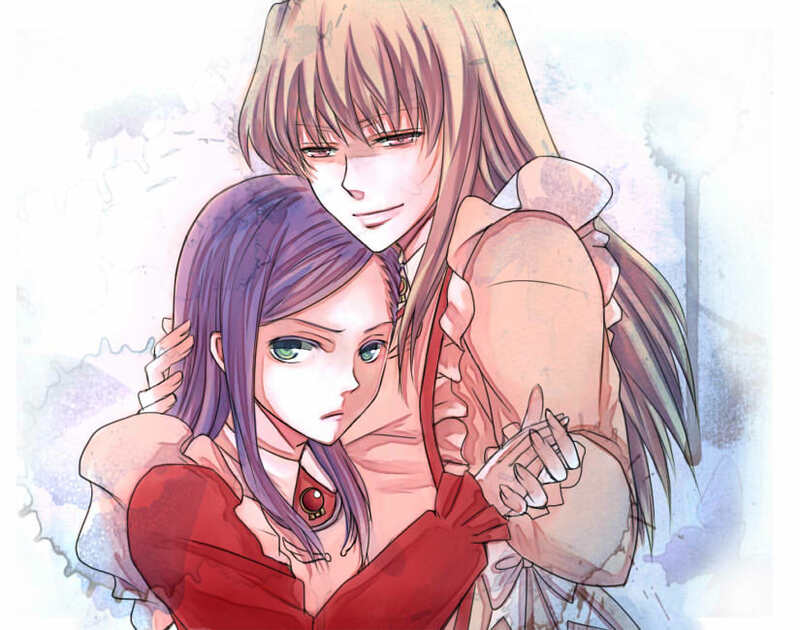 The main reason for why I watched Mai-Otome and Mai-Hime was for Shizuru and Natsuki. I had seen them around a lot in the yuri community, but I knew nothing about them. There were many differences between Natsuki Kuga and Shizuru Fujino’s and Natsuki Kruger and Shizuru Viola’s relationships, but I still enjoyed both immensely. Natsuki Kuga and Shizuru Fujino are the two original characters from Mai-Hime. Natsuki and Shizuru have a strong relationship. They both trust each other a lot. Natsuki usually always went to Shizuru for comfort. In Mai-Hime, there were many subtle hints that Shizuru had hidden feelings for Natsuki, and it wasn’t until Natsuki saw videos that Natsuki realized Shizuru’s feelings. In the end of the series, Natsuki doesn’t confeirm or deny Shizuru’s feelings, but we do get a nice kiss scene. The hints are so much more subtle in this series than the Mai-Otome. Natsuki Kruger and Shizuru Viola, the spin-off of Natsuki Kuga and Shizuru Fujino, are two of the best meisters in the Mai-Otome series. Natsuki and Shizuru are a lot more open about their relationship, and there are so many subtle hints about them being together. Natsuki and Shizuru seem to be together all the time, and lonely when they are apart. Natsuki gets jealous when Shizuru gives other girls attention, and Shizuru admits to being an Otome to protect someone special. I loved the relationship between these two character because it was a nice balance between obvious relationship and subtext. I enjoyed all the Shizuru and Natsuki moments in both series. I feel if I had not seen Natsuki and Shizuru grow in Mai-Hime, I would not have enjoyed it as much when watching Mai-Otome. Neither relationship was better. I have to say I like Mai-Hime better than Mai-Otome. I feel like all the characters were better characterized in Mai-Hime. I also am a bit biased on the fact that Natsuki is a main character in Mai-Hime and appears a bit less in the Mai-Otome series. I would defiantly suggest watching Mai-Hime first and Mai-Otome second.